Could this mean Hulu is coming to Canada? Though nothing has been confirmed, it’s possible that Hulu’s recently announced international expansion plans could include the Canadian market. 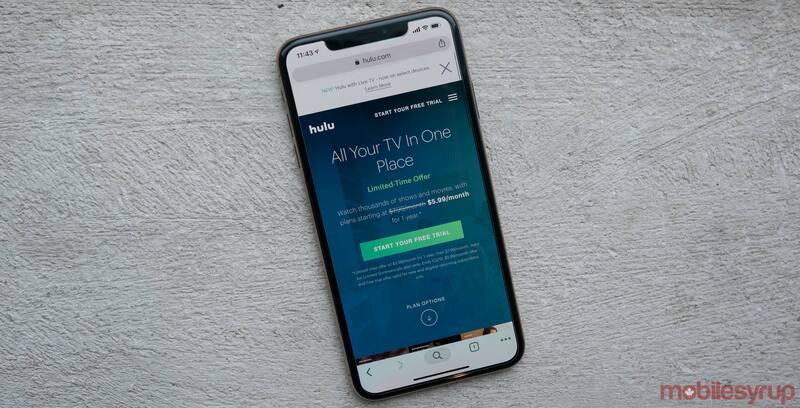 In a recent TechCrunch story focused on the impending launch of Disney+, The Walt Disney Company’s upcoming streaming platform, Disney confirmed plans to increase its investment in Hulu. It’s unclear if Disney plans to bring its streaming service to Canada, though it’s likely the platform will make its way north of the U.S. border at some point. Currently, a significant amount of Disney content, including recent Star Wars films, are available to stream on Netflix. Following the finalization of Disney’s purchase of 21st Century Fox, the company will own 60 percent of Hulu, giving the media giant “considerable say” in how the service is run, according to the company’s chairman and CEO Bob Iger, during a recent earnings call. Iger goes on to say that Disney plans to invest in creating additional Hulu original content, as well as to expand the service internationally. Disney believes that bringing “a lot more programming” to Hulu will make the streaming service more competitive in the increasingly crowded streaming video app space. “Given the success of Hulu so far concerning subscriber growth and the relative brand strength and other things too like demographics, we think there’s an opportunity to increase investment in Hulu notably on the programming side,” said Iger during the earnings call. The Handmaid’s Tale, one of Hulu’s most popular and critically acclaimed originals, plays on Bravo while also streaming on Bell’s Crave platform in Canada. Bell recently revamped its CraveTV streaming platform, changing its name to Crave, and also including current HBO content and not only the service’s back catalogue of television shows and movies. Adding this additional content to Crave costs an additional $9.99 per month, bringing the service’s total monthly fee to $19.98 a month. Further, Amazon launched its Prime Video streaming service in the Canadian market in late 2016. MobileSyrup has reached out to Hulu for comment on the platform possibly making its way to Canada.